4 Days – Where To Go? 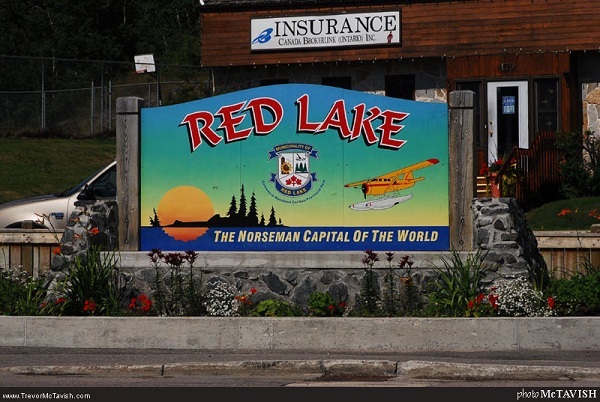 Located at the northern end of Highway 105, the Municipality of Red Lake is the most northwesterly municipality in Ontario. With a population approaching 5,000, our full serviced northern community is made up of six distinct communities,Red Lake, Balmertown, Cochenour, Madsen, McKenzie Island and Starratt Olsen. We are situated in the beautiful wilderness of Northwestern Ontario, residents and visitors alike enjoy our area’s natural beauty, pristine lakes, rivers, forests, clear blue skies and endless opportunities for outdoor recreation. In town you will find a wide range of services including fuel, groceries, lodging, clothing, sporting supplies and restaurants.